This is a guest post by Guillermo Solis. Managing successful meetings is not a new subject, but neither is a waste of time to refresh ourselves about how best to manage meetings. Below I have some suggestions to bear in mind before, during and after meetings, when we are in charge of the meeting. These are based on experience mostly in Mexico and Central America projects. Objective. Define what the meeting is for and what we are expecting as a result: an agreement, approval, a work plan, etc. The meeting should start with a brief welcome and then the definition of the subject itself; it’s a powerful argument to keep the focus! Participants. Who must and should be in the meeting? That’s enough people. Depending on the matters to deal with, we should consider inviting at least one member of the areas or departments involved (stakeholders), so that person can communicate to the others about what was said and how could affect them. Notice. If it is possible, schedule the meeting with several days of notice, so we can give time to participants to check their agendas. If you can, it’s worth asking for their availability informally before sending the invitation. It’s not a guarantee of course but the possibility of the participants being in the meeting will be greater, and also the possibility to re-schedule will be smaller. Agenda. Delineate the topics or issues to address in your notebook or/and the presentation. Assign a specific time to each item (and plan to have a clock in the meeting room). Always consider time for a Q&A session, and you can use this slot to deal more easily with interruptions – park any topics that upset the flow of the agenda to the Q&A. The plan B. What if the projector fails? The meeting time is reduced half an hour? Or you have a last minute guest? It’s important to have in mind what could impact the meeting or your presentation and be ready to go in a different direction if necessary. Time of the meeting. We all know the best time for a meeting is before lunch. If you schedule it for later, people’s attention will be diminished, attendees will be more tired, stressed, etc. Place. Choose a place or location where everybody can arrive on time in a comfortable way. Consider ways to get to the venue, lighting, noise levels, availability of a projector, phone, etc. Material. It is essential to have the necessary material. Check for the presentation twice (share it with someone else to see if it’s clear and easy to follow). Welcome and agenda. Start on time, define the objective and agenda, but don’t wait more than 5 minutes for anyone who is late (respect the time of the rest of the attendees). Questions, comments and detours. It’s always valid to answer questions and comments but if the agenda is too tight you can politely mention the Q&A section at the end. Try to be flexible and remember that meetings are not a monologue. However, try to avoid important detours that might compel your meeting into unnecessary delays. Humor. Being serious is a way to call for respect, but if we don’t break the ice, the meeting will become dark and eerie. Sometimes a smart joke makes it easier to digest a hard subject, a delicate matter or the complex contents of your presentation. Length. If you can make your meeting fit into an hour or less, that’s great, but if it goes beyond that, start taking 5 or 10 minute breaks to avoid stress or desperation! Meeting minutes/summary. Acknowledge the participation of all the attendees when sending the summary as this gives importance to the meeting and shows you respect the time of the participants. You can use a pre-defined format for minutes or send out a summary via email. The format must include any decisions, a list of the participants (those who attended and those who sent apologies) and might suggest a date for the next meeting if necessary. Cost of the meeting (aggressive approach to lack of attention). If you experienced a lack of people turning up for the meeting (or the wrong people turning up), or a lack of action as a result of the meeting, you could use this aggressive strategy: estimate the cost of the meeting. If the required data is available and you are confident using it, then calculate the estimated cost of the meeting. Work it out based on the time the participants invested in it, and talk to your project sponsor about it. It’s an effective way to make a point (although a little bit aggressive): we’ve lost time and money with this meeting because no one paid attention. Follow-up. The meeting does not end when everyone goes back to their job. If you have proper follow-up and the result of the meeting is productive, than we can say that we had a really effective meeting! It’s hard to have 100% effective meetings all the time, but with practice these tips will help you to forge habits that allows you to have a high effectively (and credible) average when you have to chair a meeting. About the author: Guillermo Solis has over 10 years of experience in the IT area, resulting from support areas, development and management. 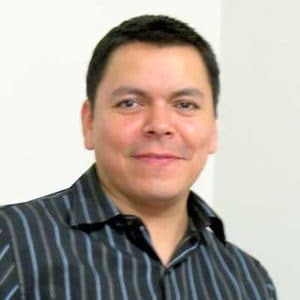 In recent years he has worked as a project and resources manager in Mexico and Central America.